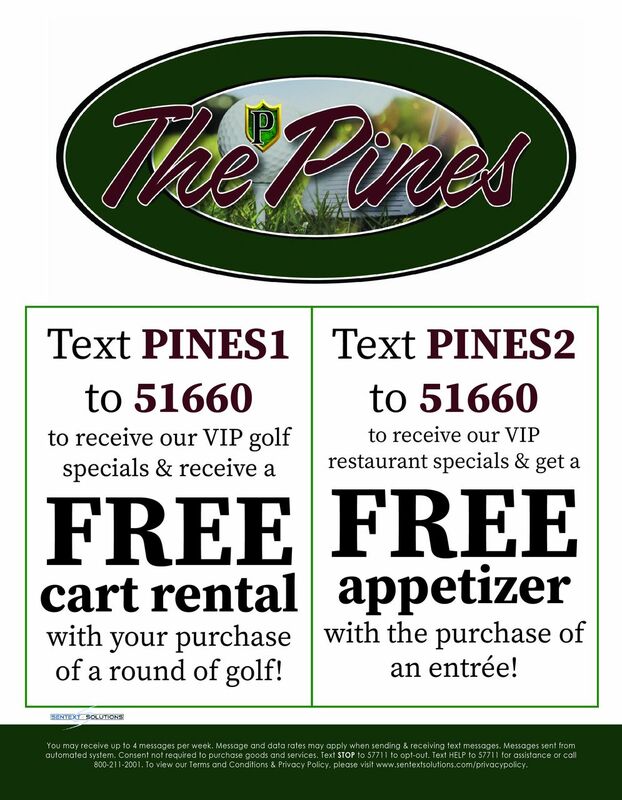 Welcome to the new on-line home of The Pines Golf Club and Restaurant. All visitors are invited to register as on-line members to receive the latest news from the club as well as access to our exclusive on-line specials! Call today for your tee time: 888-684-1020 or reserve your tee time on-line! Copyright © 2019 The Pines Golf Club All Rights Reserved.